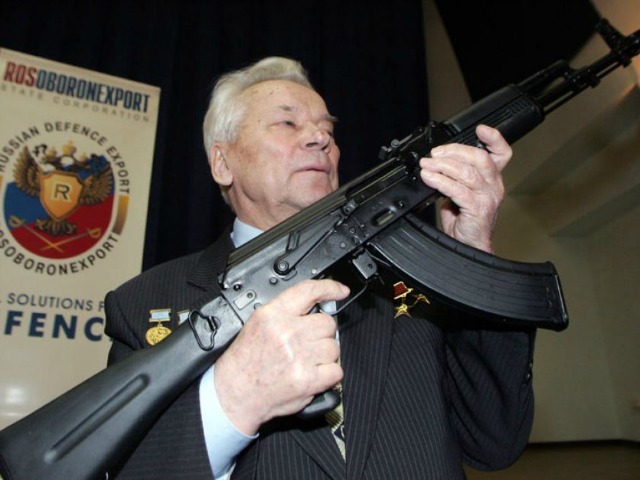 According to the AP, Kalashnikov designed farm machinery until being wounded by the Nazis; thereafter he designed guns. The “AK” in AK-47 stands for “Avtomat Kalashnikov,” and the “47” stands for the year the rifle began production, 1947. An estimated 100 million are in the world today, and they will fire under conditions that render other guns inoperable. Whereas M-16s had to constantly be cleared to remain functional, the AK-47 simply shot every time a soldier pulled the trigger. Kalashnikov’s story is all the more remarkable when you consider that he was “born into a peasant family in Siberia.” Yet he was able to rise above his poverty and create something that the world still treasures today.